The Complaint tells us the pregnant girl was 13 years old, and she called the man who brought her there “Tim,” not “dad.” He didn’t have the same last name as the girl, but the Planned Parenthood staff didn’t question that either. They didn’t pull the girl aside when Tim started pressuring her to get birth control by injection. They didn’t take any opportunity to question the girl alone and make sure this was her choice. They provided a “no-questions-asked” abortion procedure and sent the child home with the birth control. She had alreadysuffered sexual abuse at the hands of her stepfather for 7 years when she became pregnant, and the abuse continued several more months after the abortion. Then Tim finally got caught. He pleaded guilty late in 2012 to two felony charges related to the girl’s abuse. Now Planned Parenthood and its Rocky Mount employees who helped cover up the abuse are being called to task for violating their duty to report. 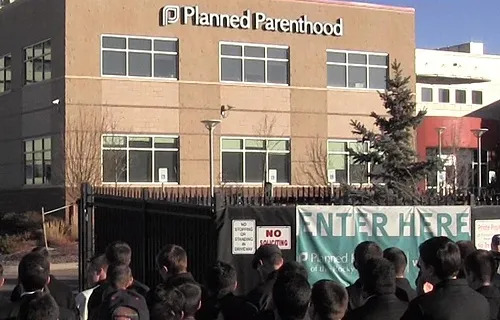 The girl’s mother brought this complaint against Planned Parenthood and four unnamed employees who were present at the time of the abortion. In Colorado, a 13 year old girl is below the legal age of consent, that should have been a red flag to clinic workers at the start. Like most states, Colorado law gives clear directions on who must report abuse, when to report, and how to report. (C.R.S.A. § 19-3-304) Legislators faithfully pass laws designed to protect children in situations just like this, yet here again Planned Parenthood has demonstrated it is more interested in performing abortions than actually caring for the women and children who come through their doors. Unfortunately this is not an isolated case. Failure to report child abuse is the unwritten standard procedure of abortion clinics across the country, and this is just another case that demonstrates why it is so important for prosecutors to be ready to enforce mandatory reporting law – and why we do what we do. We will keep you updated on this case, and ask for your support and prayers for this precious girl, her mother, her legal team and all those involved. Read More on the history of Planned Parenthood’s failure to report child abuse.